Keeping a gerbil as a pet can be a fascinating experience. With over a hundred different recognised gerbil variety, the great gerbil, Rhombomys opimus is the largest. 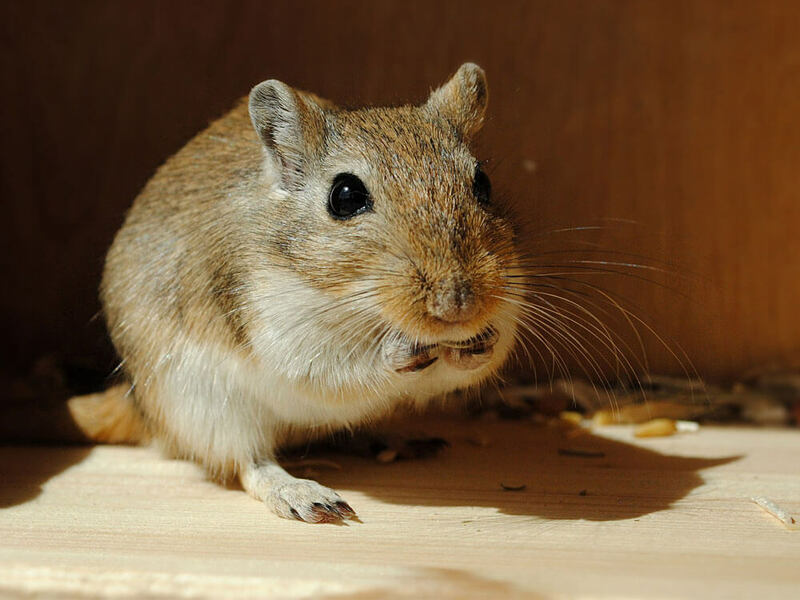 Moreover, the Mongolian gerbil, Meriones unguiculatus is the most common breed kept as pets. That being said, Mongolians are the usual gerbils that are displayed at pet stores. Though the gerbil’s history is surrounded with myths as the small-clawed warrior, records reveal that it originated in Mongolia. It was kept as pets since the 1960s and it wasn’t until 1964 when it was imported in the UK. Myths and all, the gerbil is a mammal under the order Rodentia. Let us try to define how gerbils are as pets. Are gerbils good pets? Should you get one? 1. Some gerbils are nocturnal and some are diurnal. Some would suggest that gerbils are metaturnal. This means they have random intervals of activity. These mammals may be active whether it is day or night. On the other hand, the Mongolian gerbil, the most common breed, is known to be diurnal, which means they are active during the day. 2. Gerbils are active creatures. As active creatures, they require a large habitat that will allow them to run around. One of their favourite activities is digging. This is a habit instilled from being a prey animal. They find safety by digging and living under deep burrows away from potential predators. With that in mind, it is best to provide them with an enclosure with a solid bottom. Gerbils are entertaining to watch doing any set of activities especially digging. However, the downside of digging is that you would most likely find dust, food, or wood flakes on the floor being kicked out of the cage. This requires regular cleaning and vacuuming around their aquarium. 3. Gerbils yearn for companionship. In the wild, gerbils thrive in large family groups. They have interesting ways of communicating, such as rubbing off their own scent. They find the inclination to mark each other by scent, which often referred to as “family scent.” They use their stomach to rub on objects that they have taken a liking to. This is how they mark their territory as they have a certain gland in their abdomen that leaves behind a distinctive scent. 4. Gerbils have a unique way of greeting each other. Gerbils have a special way of greeting and getting to know each other. They are likely to rub their nose on other gerbils and at times they at least attempt to rub noses with their owners. That being said, feel free to rub noses to your gerbil buddy. 5. Gerbils can procreate fast. Yes, we may have stated that gerbils need company. However, it is advisable to keep the same genders of gerbil together to prevent unplanned mating. This animal multiplies at an amazing rate. Females can produce twelve litters in one year, with one to eight young in each litter. 6. Gerbils lick when they are thirsty. If you see your gerbil licking their habitat or tank walls, this signifies that you have a thirsty gerbil. Make sure to provide fresh water in their sipper bottle at all times. 7. Gerbils are serious gnawers. This is a common behaviour of rodent pets. They love to chew, and cardboard is amongst their favourite. Your gerbil can easily dismantle a cardboard as quick as lightning. Watching them munching on anything can be quite entertaining. 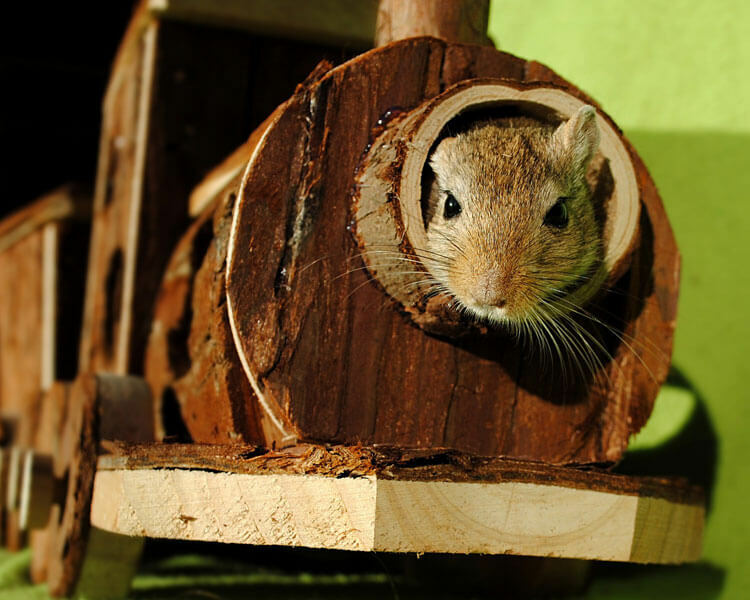 Other appropriate chewable items include untreated wood and chew toys designed for gerbils. 8. Gerbils wink and purr. Eyewinking and purring are indicators that you have satisfied, happy rodents. These are their ways of showing gratitude. Feel free to wink back when they wink at you. Winking is a sign of happiness in the eyes of your gerbils. Moreover, they purr when they are feeling very comfortable. It is likely for them to purr by vibrating whilst you are petting them. 9. A gerbil’s tail can actually come off. Do want a gerbil as your precious friend? Check out gerbils for sale and pick one. Tell us your experience of having one in the comment section below!